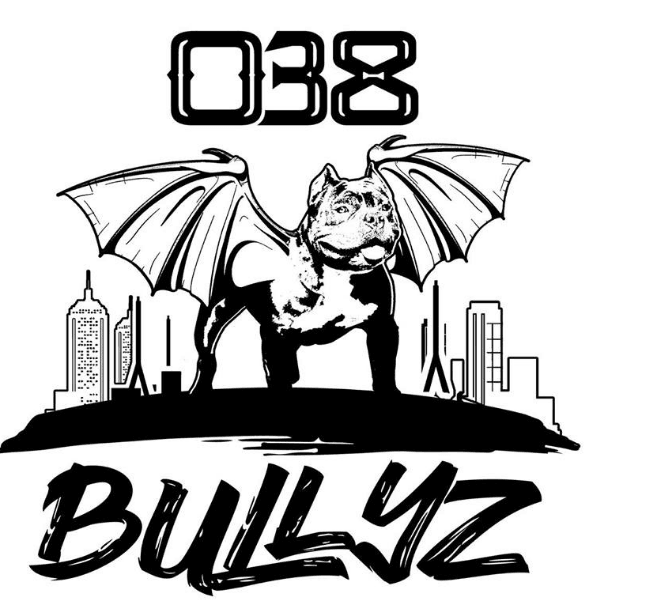 038 Bullyz has a passion for American bullies. Our professional dog training experience helps us raise healthy, well-behaved dogs. Our adult dogs are fully-trained and the puppy training includes socialization with kids and other dogs. Our puppies for sale are unique among this breed that is growing in popularity. When you purchase a puppy from 038 you can be sure your bully comes from family raised dogs and not from a kennel environment. Our adult dogs live with our family in the house, so the puppies are nurtured in a loving family setting. Litter sizes vary as do the unique features of each puppy.